Constituting the first technology IPO of the year, Travers Smith and Herbert Smith Freehills have both landed key roles advising Britain’s largest online rail booking company thetrainline.com as it prepares to float on the London Stock Exchange later this year. Having been purchased by Exponent Private Equity in 2006 for £160m, the London-based company expects to raise £75m and is aiming for a valuation of £500m. Travers Smith, which is a long-standing adviser of Exponent, is advising thetrainline.com, with corporate head Spencer Summerfield leading a team including corporate partner Adrian West and US securities partner Charles Casassa. 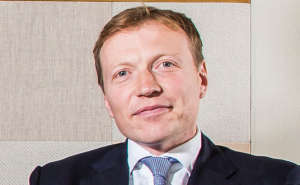 Herbert Smith Freehills corporate partner Chris Haynes is advising the banks Morgan Stanley and JP Morgan alongside the firm’s global head of capital markets Steve Thierbach. Travers Smith previously advised Exponent and thetrainline.com on the latter’s £190m dividend recapitalisation, a deal which also saw Hogan Lovells act for the lenders and constituting the largest unitranche facility put together for a UK-based company in 2013. Herbert Smith Freehills has been gifted with several high profile IPO mandates in recent months including online appliances website AO and Just Eat. Clare Gilmartin, chief executive of Trainline, said: ‘We are witnessing continued strong growth in rail and, having experienced first-hand the transformative effect of online and mobile in other e-commerce markets, I am hugely excited by the opportunity that the fast-developing online rail market offers.